One of the top welterweight prospects in world boxing was in action again on Saturday night as teenage sensation Saul "Canelo" Alvarez won his second bout of 2009 before 5,000 fans at Auditorio Benito Juarez in Zapopan, Mexico. The 18 year old welterweight from Juanacatlan challenged undefeated WBO Latino Champion Euri Gonzalez of Santo Domingo, Dominican Republic, who was defending his crown for the first time. 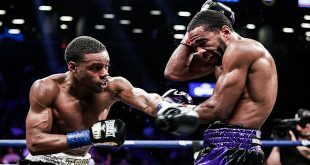 It was to be Alvarez's most difficult contest since a tough win over Larry Mosley in October and just like in that contest, the problem for Alvarez was the hand speed of the opponent. 30 year old Gonzalez scored with nice counter combinations, making Alvarez pay for advancing into enemy territory and was likely dead even with the Mexican youngster after 10 frames had been completed. 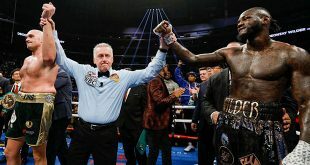 But the 11th frame would turn out to be the best of the night for Alvarez, who turned up the heat and carpeted Gonzalez with a two-fisted leather shelling that the WBO Latino kingpin could answer back to, forcing referee Vic Drakulich to call off the action. With the victory, Alvarez improves to 25-0-1 (18), and adds the WBO Latino crown to his NABF and WBC Fedecentro belts. Gonzalez loses his first bout to fall to 17-1-1 (12). 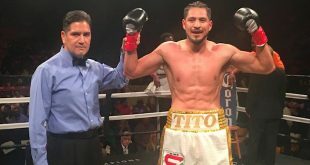 On the undercard, former WBO Super Bantam title challenger Eduardo Escobedo, 24-3 (17), of Jarrell, Texas dramatically stopped southpaw opponent Daniel Escobedo, 6-2 (3), in the 10th and final frame and lightweight Pablo Cesar Cano, 15-0-1 (12), posted an eight round UD over Ernesto Gonzalez, 3-10 (3).